Here we are, half way through the week and today we get to see the Athena top really take shape! 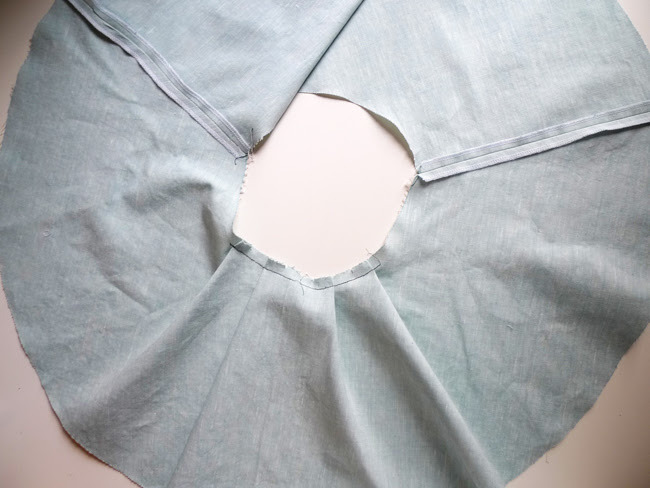 Place the peplum front wrong side down and fold the two peplum pleats on the left hand side towards the centre front. 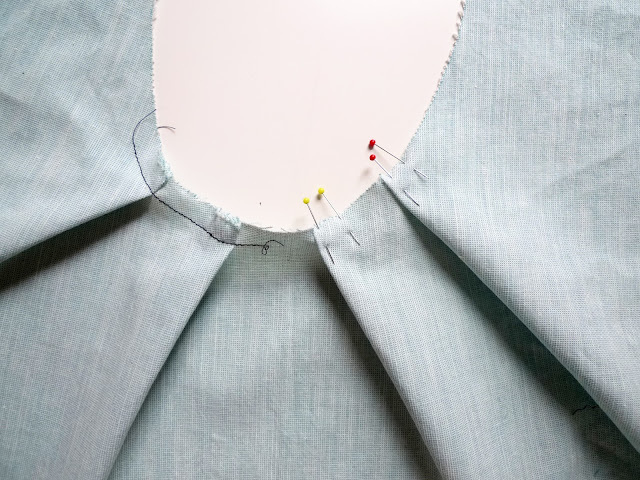 I find it easier to secure the one closest to the centre front (yellow pins) first, and then the outer peplum pleat. 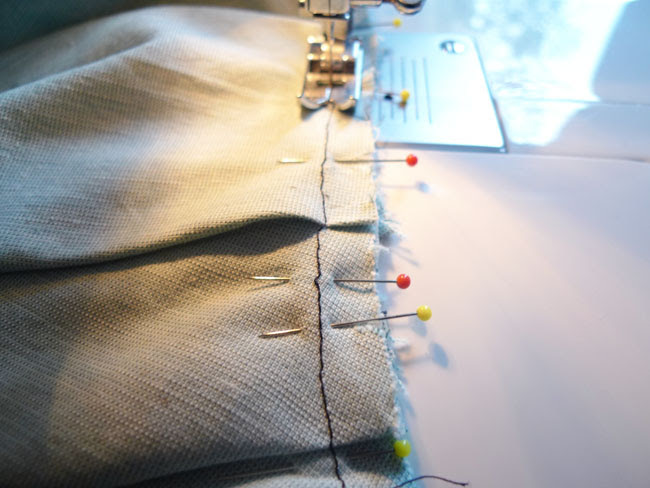 Stitch the left pleats in place on the 1cm seam allowance (not within it). 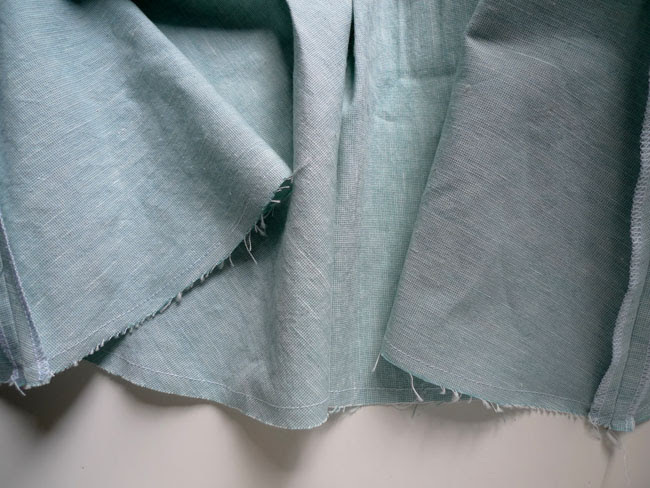 Repeat these steps for the pleats on the right hand side (yellow then red). Stitch the back peplum pieces to the front peplum piece at side seams, right sides together, and press seams open. 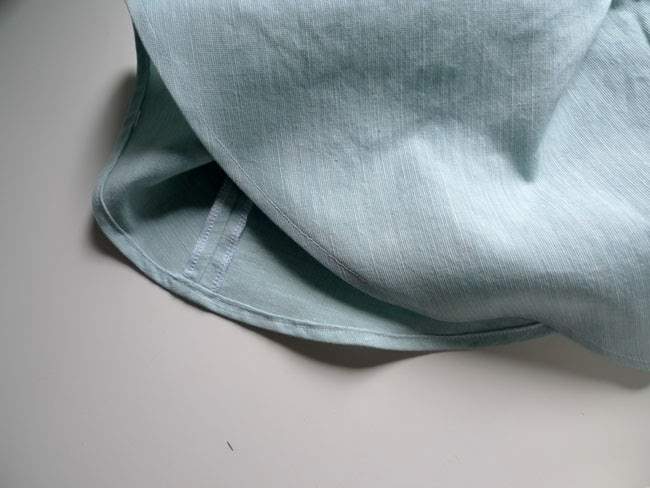 Fold the hem upwards, wrong sides together, using the stitchline as your guide and press in place. 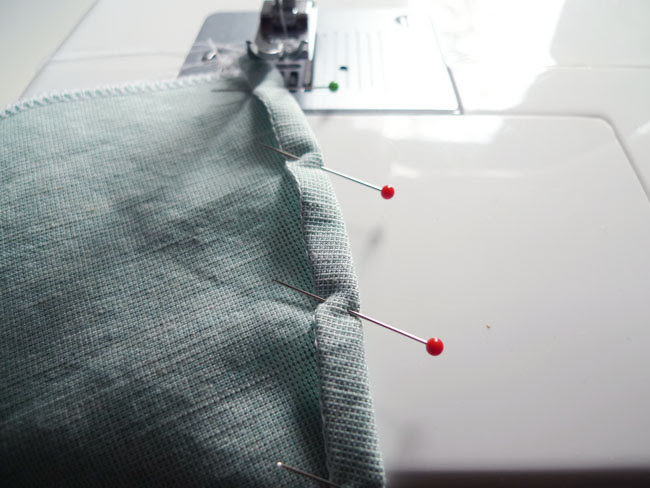 Fold the hem up again and press upwards, pinning in place. 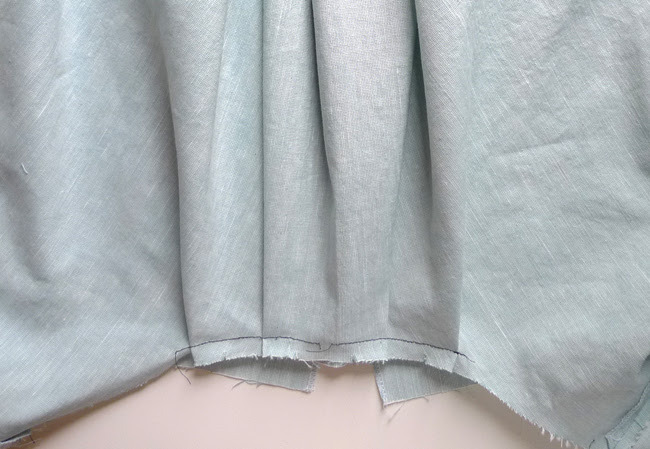 Your completed narrow hem should look like this! Lay the peplum on the bodice, right sides together. With the peplum facing up match each pleat at the 1cm seamline carefully with pins, using the line of stitching on the peplum as your guide. 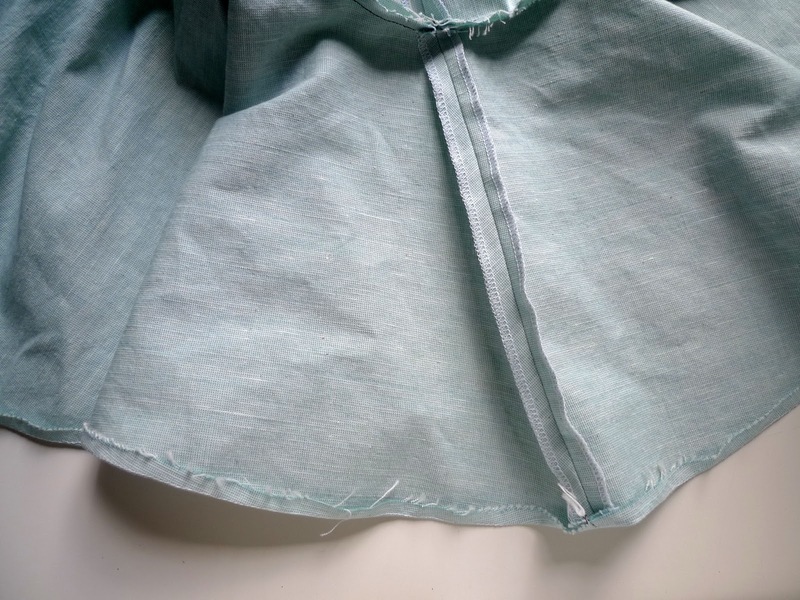 When you are happy that the pleats on the bodice and peplum match, continue around the rest of the waist seam. The bodice and peplum have now taken shape! Tomorrow we continue with the sleeves and neckline.